This season might be coming to an end but there is still a great chance to enjoy these last sun beams in Santorini. Autumn was never hard in Santorini, actually is among the best seasons to visit the island. Less crowded and with more vivid colours thanks to the first rains and the refreshing temperatures, even sunset is far more beautiful during the month of October. October events in Santorini. 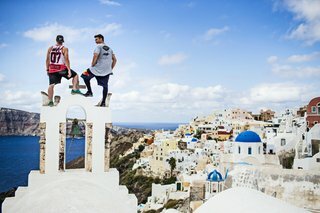 There are some really interesting events going on during this month like the Red Bull Art of Motion where parkour athletes jump from rooftop to rooftop in the stunning village of Oia. The event takes place at the 1st of October! 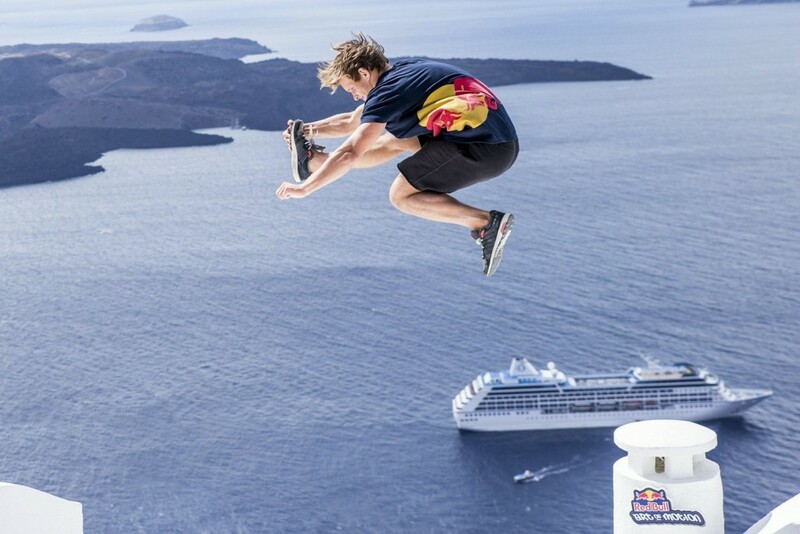 Then we have the Santorini Experience where athletes from all over the world, especially swimmers and runners, indulge into their favourite sports having the archipelago of Santorini and the caldera as a background to showcase their capabilities. The Santorini Experience takes place for the 7th to the 9th of October. Then, comes the island’s most popular feast of the island that happens during October. More specifically at the 20th of October at the serene village of Finikia and the church of Panagia Matrona music, dance and food and people from all over the island gather to celebrate all night long. Ira Hotel for October 2016. We can’t be left outside all these celebrations occurring on the island during October so we offer a 10% discount to the bookings via our website at www.ira-hotel.com. Choose the room or suite that suits your needs- keep in mind that the caldera view suites of Ira Hotel & Spa have now a great price- and get ready to enjoy the sun at the swimming pool area, the tastes from the White Cave Restaurant, beauty treatments at the Spa, and it might be October in Santorini but everything is still beautiful; we dare say even more beautiful!